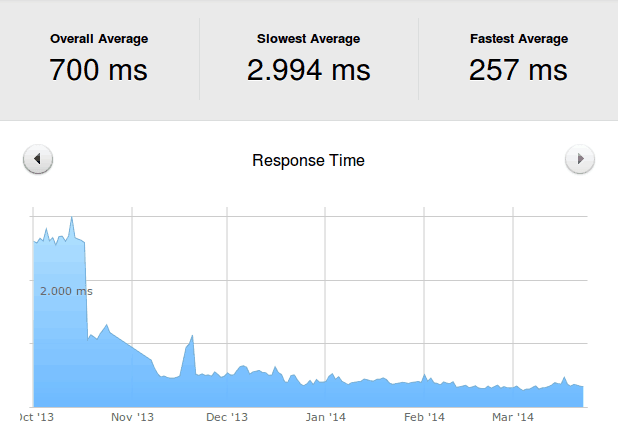 Helium, our just-launched WordPress hosting package shows to the eyes of readers and benchmark tools some nice results in terms of response time reduction. The first website we are presenting moved from another leading superfast WordPress hosting service provider to our Helium platform, as an early adopter, way before we’ve released it. 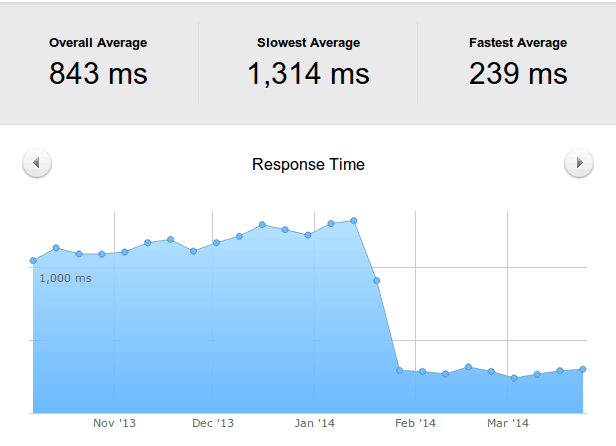 The frontpage of the site was probed by Pingdom every minute. The results after the switch have been significant – they are clearly visible in the performance in the graph, an almost ten fold improvement. Site traffic: in the range of 5 million page views per month. The second website we’re showing had its front page measured by Pingdom as well, and moved to Presslabs to try some Helium power, after using the services of another reliable WordPress hosting provider. Here, we can roughly say the improvement has been of only 5 times. Frontpage HTML size: 30KB, not minified. How do we achieve this? In brief, the sites are served latency based from the 5 data centers spread across 4 continents. We rely on Amazon’s Route53 and a caching layer we’ve written from bottom up which we named Carbon Cache.